Know the appropriate job interview attire for a conservative and more formal work environment. A number of companies fall into this category including banking, accounting, insurance, law and finance. 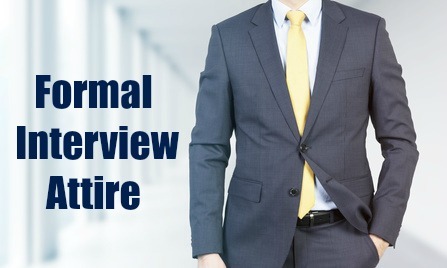 If you are interviewing for a professional position take a formal approach to your choice of interview clothes. Demonstrate your ability to understand and fit in with the company culture. 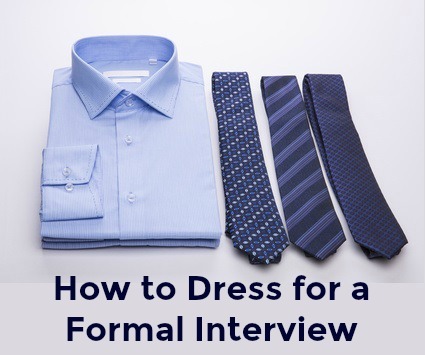 These are the simple rules for selecting the appropriate formal interview clothing. If you prefer to avoid a black suit (a good, general option) because you feel it can be too intimidating and funereal, select alternatives such as dark blue (blue conveys trustworthiness), light or dark gray, shades of brown or beige, or even a dark shade of green. Suits tend to give a sense of class and polish that fits in with the more conservative corporate feel, but the style of the suit can be either traditional or more modern. You can team your dark suit with the traditional white shirt or any light-colored shirt. For women's suits other conservative colors such as maroon or cream are also acceptable. 2. What about tailored jackets and skirts? Female candidates who feel a suit is too much can wear a well-tailored jacket with a blouse and skirt or a smart dress as acceptable formal job interview attire. The skirt length is important - just on the knee is most comfortable for sitting down in. An non-fussy cotton or silk blouse in a light color always looks smart and professional under a jacket or blazer. A neutral color allows the interviewer to focus on your face. Don't neglect your shoes. They should be closed and the heels should not be too high. A pair of black pumps or court shoes is always an excellent investment as they can be worn with many different outfits. Wear stockings or pantyhose to complete your professional look. 3. Is a pantsuit acceptable? Tailored pantsuits are generally acceptable, however some companies prefer their female employees to wear a skirted suit. If you are unsure about the suitability of a pantsuit or a blazer with a tailored pair of pants rather opt for the skirt and blazer or a skirt suit. Remember it is better to overdress for the initial interview situation and then adjust your clothing according to the general tone at the company for the second or third interview. Refer to the information contained in job interview dress codes to find out about the company dress code. Ensure that your job interview attire reflects the company culture. What accessories can I wear with my formal job interview clothing? Limited jewelry is appropriate. Avoid large and flashy jewelry items. Clean, manicured nails are important and a neutral colored nail polish is appropriate. Wear light make-up and make sure your hair is neat and tidy. A portfolio or briefcase is useful for carrying the necessary documents to your interview. Avoid large bags that require you to rummage around in to find anything! Keep your accessories simple and understated. A non-flashy, non-glittering watch with one ring is appropriate for men to wear. Cuffs with one or two buttons are a good option. Cufflinks can be regarded by some interviewers as overdoing it so avoid wearing them. If you only have a shirt without buttons you can wear understated cufflinks. You can show some personality by adding a good quality tie that portrays a sense of your own style while toning in with the outfit. Ties with diagonal stripes, a solid color or a subtle pattern are best. Avoid wild patterns and colors that can prove too distracting for the interviewer. Men's shoes should be clean and polished and a dark color that blends with the suit. Socks should be sufficiently long that the skin is not exposed when you sit down. Conservative colors that are appropriate include dark gray, black and dark blue. Avoid these interview dress mistakes commonly made by job candidates. The reality of a job interview is that you will be evaluated on your appearance as well as your skills. 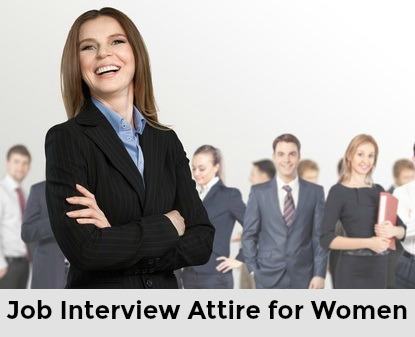 The interviewer and company want to know that your dress correctly reflects their company image and reputation. Selecting the right job interview attire for the conservative environment shows that you are able to fit in well with the specific corporate culture. What can I wear to a more casual job interview? Are you going for an interview in a more relaxed environment? 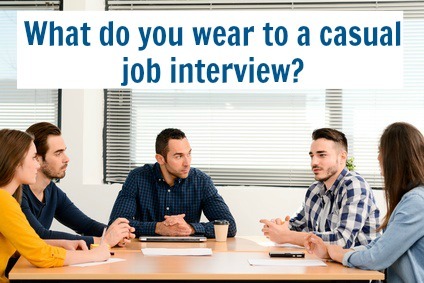 Use this guide to casual interview clothes to dress appropriately. What is appropriate attire for a job interview? Do you have a limited working wardrobe and small budget? Find out how to get hold of affordable interview clothes. What type of job are you interviewing for? Know the right job interview attire for different professions and be confident that you are appropriately dressed.